Greg and Patty Fralic joined the Arctic Barnabas team in summer of 2018 when they relocated from La Conner WA to Kenai AK. Between their favorable gifting and passions for aviation, pastoral care, and mission service, it didn’t take long to find Arctic Barnabas and set their sights on serving with them. Greg grew up on Lopez Island, a small, fairly remote island in the Pacific Northwest where Greg spent much time hunting, fishing, and exploring. Weekend and summer jobs included electrical meter reading via boat on remote neighboring islands, employment by an aqua sea farm, and work for his uncle's construction company. After High School, Greg trained as an automotive technician and went on to a twenty-eight-year career as a parts professional for the Ford Motor Company in Washington State's Skagit Valley. Greg’s parents raised him in the church. In 2005 Greg spent a month in Israel with a group of pastors—a turning point in his faith when the Bible went from black-and-white to full living color. As he watched the group of pastors selflessly use every opportunity to minister God's love and compassion, Greg felt his life’s mission: "There is no Greater Calling than Service to Others.” He soon became involved in Mexican and Philippines missions as a videographer through his church. Patty was born in Southeast Texas after her parents emigrated from Europe. Her dad’s job moved them to the Sierra Nevada foothills in Northern California. When she was thirteen, her dad passed away with cancer, a time of spiritual awakening for both Patty and her mom and Patty came to a saving understanding of Jesus Christ. As a teenager, Patty knew she wanted to fly professionally and started soloing at sixteen and attained every rating except an ATP by age twenty. During college, Patty flight-instructed and flew cargo. Two months after graduation a single seizure caused the loss of her medical and legal right to fly. However, God faithfully kept her close to aviation for the next thirty years. Patty went back to school after relocating to Washington in 1988 with her mom and husband. She attained an MBA and a Masters in Professional Accounting (Tax) from the University of Washington before starting a twenty-year Boeing career as a Financial Analyst. In 2010, Patty's husband passed away after a year-long battle with cancer. Her strong network of faith and an incredibly strong, healthy mom at age ninety-one provided considerable comfort. Greg and Patty met in 2011 when Greg purchased a moped scooter from Patty at a community garage sale. The two quickly discovered many things in common, most notably, both dealt with the challenges of caring for and dealing with elderly moms in their homes. 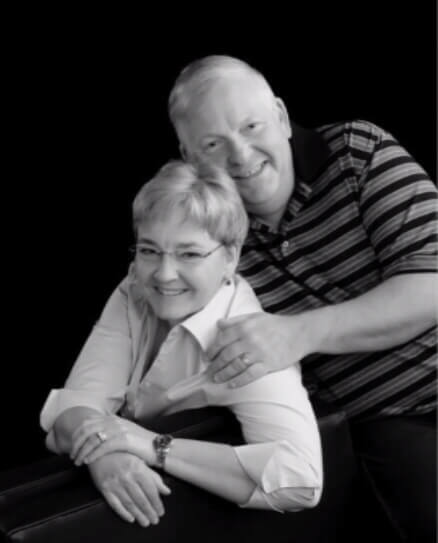 They dated, and Patty joined the church where Greg actively attended for many years. They married on the one-year anniversary of their chance “garage sale” meeting in June 2012. The new family was now complete with Greg’s two adult children and two granddaughters. Patty, herself childless, felt especially blessed. All lived in northwest Washington until Greg and Patty’s recent relocation to Kenai, AK.